The Institut National de Recherche en Informatique et Automatique (INRIA), Université Pierre-et-Marie Curie Paris 6 (UPMC), the Ecole Nationale Supérieure des Techniques Avancées (ENSTA), and the Centre National de la Recherche Scientifique (CNRS) have the pleasure to host the next symposium of the International Association for Boundary Element Methods (IABEM) that will take place on June 26-28 2018, on the campus of University Paris 6 at Jussieu in the heart of Paris latin quarter. 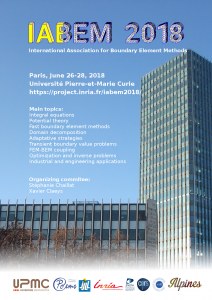 The IABEM symposium provides a forum for researchers and engineers around the world to discuss recent developments in the Boundary Element Method (BEM) and new challenges ahead. 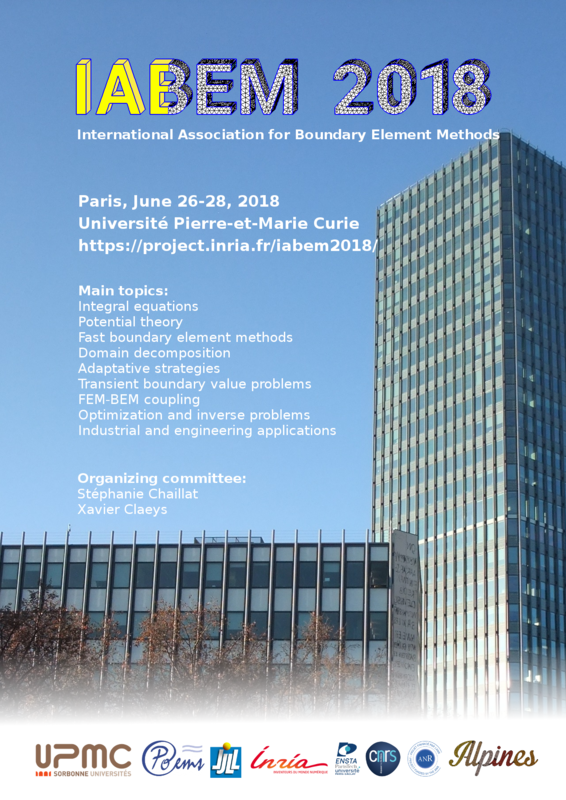 This event focuses on boundary integral equations, and aims at gathering all scientists interested in this topic, both from a theoretical and applied point of view. IABEM is affiliated organization of the International Union of Theoretical and Applied Mechanics (IUTAM).